2009 May archive | YORK BLVD. Last week we took a short trip down York, straight on as it becomes Monterey and landed ourselves in the hidden gem that is the Huntington Library and Gardens. A mere 6 miles away from our bullet-ridden, gang-infested streets (if you’re to believe the portrayal of NBC’s Southland), the Huntington Library is over 200 acres of lush gardens and beautiful 19th century buildings full of art and exhibits. We stopped in to see “Beautiful Science: Ideas that Changed the World” full of extremely old and rare, masterfully written and illustrated books on medicine, astronomy, biology and light and electricity. Among them were Galileo’s own copy of his book “Dialogue Concerning the Two Chief World Systems” from the 1600s. 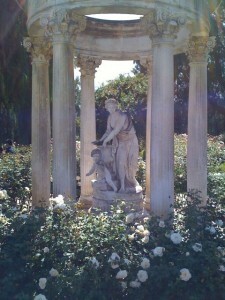 As awe inspiring as the collection is, the real reason for me to go to the Huntington is the gardens. According the brochure, there are 120 landscaped acres with over 14,000 varieties of plants. There is a desert garden full of cacti and many almost alien-like plants that thrive in hot, dry climates. 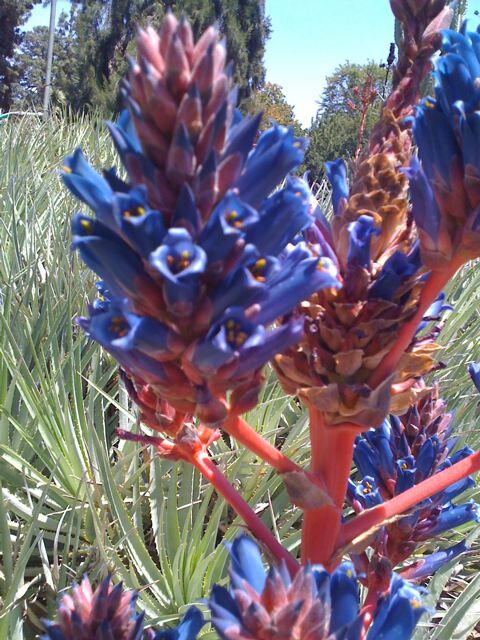 On Saturdays you can visit the desert conservatory full of the strangest plants you’ll see. There are also jungle gardens, lily ponds (currently with a few baby ducklings swimming around), rose gardens, herb gardens and many others. The highlights, of course, are the Japanese and Chinese gardens. The Japanese garden sits atop a hill surrounded by almost a fortress of bamboo and houses bonsai trees, a rock garden, pagodas and a stunning arched bridge. 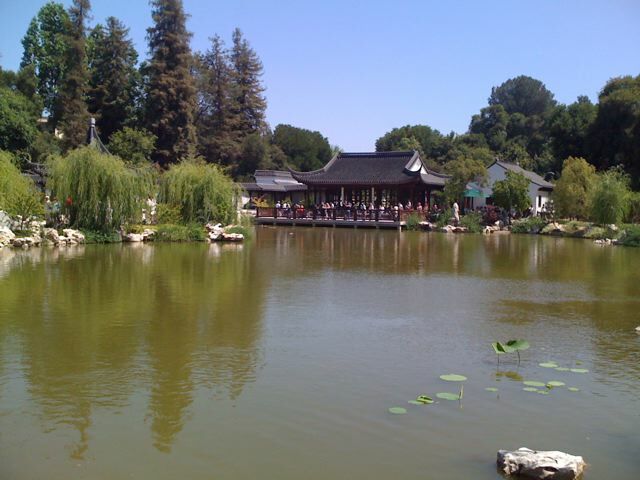 The Chinese garden is the newest addition to the Huntington, and certainly the most impressive. Designed to read like a scroll as you unroll it, the paths through the garden almost tell a story and reveal new vistas around every corner. Overlooking the small lake is a pagoda full of tables and chairs where you can stop and purchase tea and even some Chinese food. The jasmine iced tea was delicious and refreshing on a hot day, but the food smelled too much like Panda Express for me to even consider it. There is a disappointing irony to the Japanese and Chinese gardens in that they are meant to be the most peaceful and serene, but attract the most visitors and are thus full of people and the most crowded. 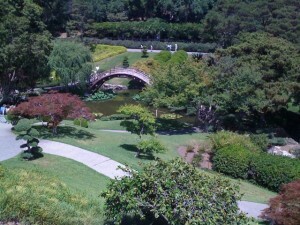 Nevertheless, there were still many places to stop and enjoy the two gardens in all of their splendor. Occidental’s most famous transfer student will be the subject of a photography exhibit that opens today at West Hollywood’s M+B Gallery. 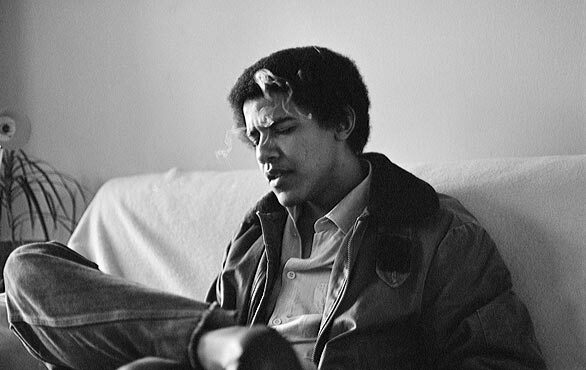 Lisa Jack, a photography student at the time, snapped the portraits at an off-campus house during Obama’s freshman year. You can read her story in the LA Times, view a brief slideshow, or watch her interview on the Today Show at the bottom of the page. The highlight of the story for me is the recounting of a teenage Obama in a Honolulu nightclub with a beautiful woman on each knee. Now that’s a picture I’d love to see. Those of you who are not Oxy alumni have been spared the deluge of headlines containing “Barry Obama ’83″ (1983 being the year he would have graduated had he not transferred to Columbia after his sophomore year). At least now when someone asks why I attended dental school, I can correct them by mentioning I graduated from the school where Barack couldn’t hack it. We’re hoping to have some interesting updates on taco truck and street vending legislation in the next few weeks. 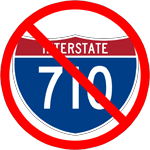 As a recent Times article pointed out, that particular fight is far from over and unfotunately, it seems that the City of Los Angeles is starting to follow the county’s lead in stepping up enforcement of laws that were previously ignored by the police and truck owners alike. With cheap becoming synonymous with chic, the media rash of taco truck articles recently spread to KCRW’s Good Food and LAist. LAist does a nice walking taco tour of York Blvd., keeping their selections simple. Good Food does a nice video piece on the trucks but unfortunately has to drink the foodie kool-aid that is Kogi. I get the feeling that the taco truck is lining up to jump the shark, and Kogi is the speed boat propelling the graphic T’d masses along. The consequences? Well since I don’t think I own any tortilla futures or catering truck credit default swaps, I imagine the fallout will be limited to a few less people in lines. Enjoy the local shots and don’t let our venemous gall turn you off to Kogi if they’re your thing. UPDATE: Eating LA also recently posted a review of the stand at York and Nolden.